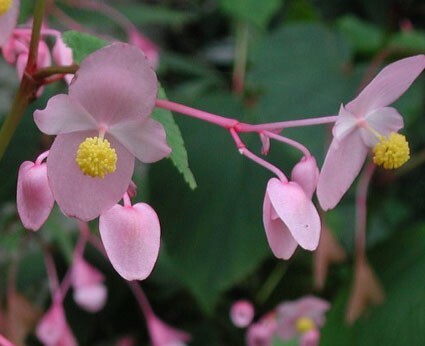 Cultural Code: CGH HT what's this? 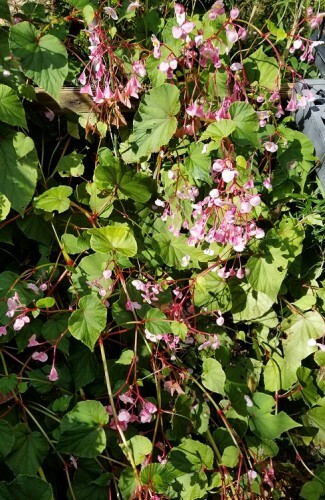 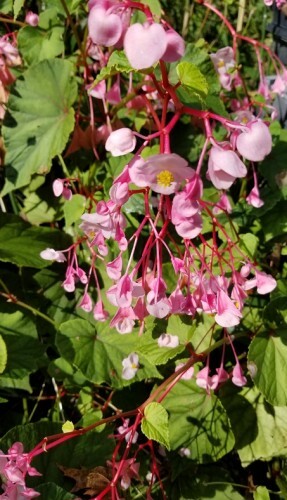 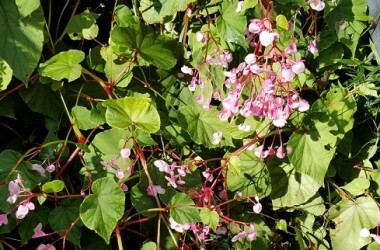 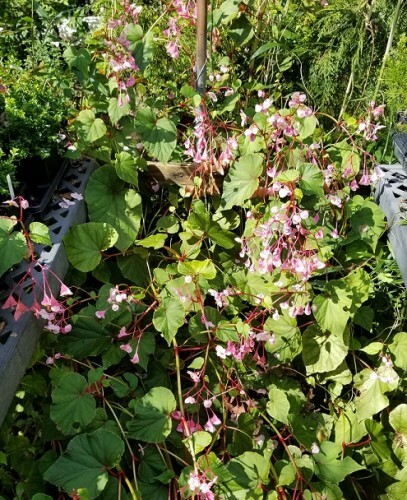 (tuberous) The "Hardy Begonia" survives sub-zero with mulch; short succulent upright canes with olive leaves red-accented, & with clouds of pink flowers early fall; this slug resistent novelty also performs well in containers. 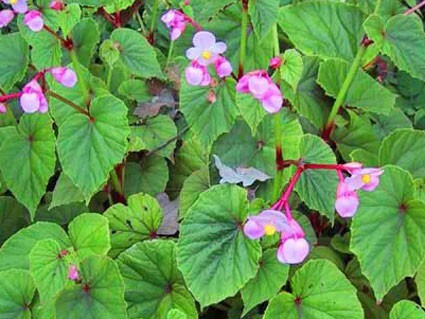 Remember that this drops all foliage early fall and remains dormant throughout the winter.